Inclusion Gloucestershire believes everyone has gifts, ambitions, aspirations and strengths. But sometimes they experience barriers, setbacks and challenges which make it harder for them to reach their potential. We want to change that, through working with disabled people and building on their strengths. Our focus is championing people of all ages, whatever their disability, including people with physical disabilities, learning disabilities, sensory impairment and mental ill health. We are a registered charity and user-led organisation, run by people with disabilities for people with disabilities. We’re working hard to make sure disabled people are included, listened to and have real opportunities. 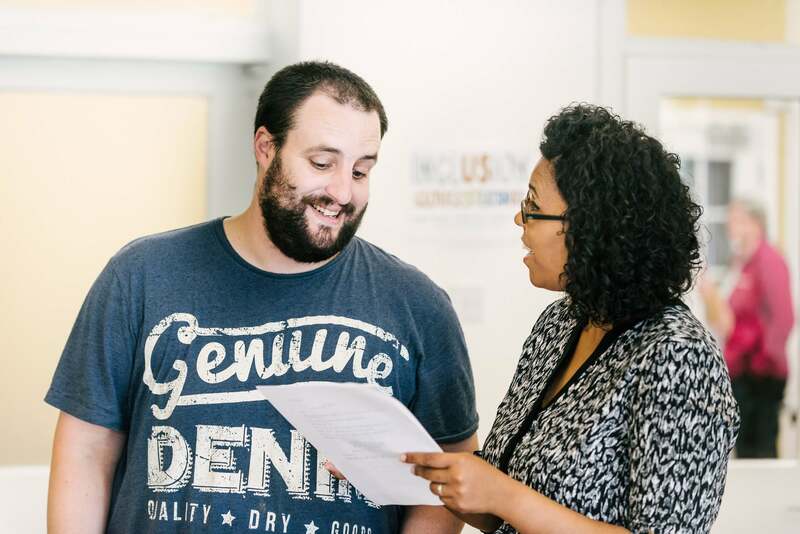 We aim to cut inequalities in health and wellbeing, so we invest in disabled people and work with them to design, improve and deliver services. We are really proud of our team of staff, volunteers and ambassadors. They bring a wealth of skills and experience and make Inclusion Gloucestershire an organisation that achieves great things and is a brilliant place to work. Inclusion Gloucestershire has specialist knowledge of living with a disability. We can help your business be more accessible to disabled employees and customers. Have a read about some of the ways that we can help your organisation. Get in touch below and one of our team will respond to you as soon as possible.